(RxWiki News) Together, two medications for pulmonary arterial hypertension (PAH) may help patients even more than either pill alone. That's why the US Food and Drug Administration (FDA) recently approved ambrisentan (brand name Letairis) in combination with tadalafil (Adcirca) to treat PAH. The combination of these drugs appeared to slow the progression of PAH and reduce the risk of hospitalization. The FDA approved Letairis in 2007 to treat PAH. Tadalafil was approved in 2009 to treat PAH. “The evidence to support the use of ambrisentan and tadalafil in PAH is well-established, however an outstanding question has been whether combining these two medications up front may further delay the progression of this disease over the long term for patients who are newly starting PAH therapy,” said Ronald J. Oudiz, MD, director of the Liu Center for Pulmonary Hypertension at the Los Angeles Biomedical Research Institute at Harbor-UCLA Medical Center, in a press release. PAH is high blood pressure in the arteries to the lungs. With PAH, the blood vessels that carry blood from the heart to the lungs, become narrow and hard. Over time, this can eventually overwork the heart, and possibly lead to heart failure. Ambrisentan and tadalafil are often prescribed individually to treat PAH. 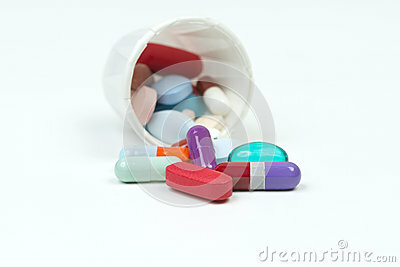 But recent research suggested that these drugs may work even better together. Patients taking both drugs were less likely to see a progression in their PAH when compared to those who only took ambrisentan or tadalafil alone. Patients taking both drugs were also less likely to be hospitalized for worsening PAH. Common side effects of ambrisentan combined with tadalafil were headache, nasal congestion, anemia and cough, among others. Letairis has a boxed warning regarding potential harm to the fetus when pregnant women take this drug. Gilead markets Letairis. Tadalafil is marketed by Eli Lilly under the brand name Adcirca.